PICKAWAY COUNTY, Ohio – A consortium of conservation groups is working on projects to protect land to preserve Ohio’s natural history, including 95 acres of farmland in Pickaway County, which was purchased last year from a local property owner. Bartley Preserve, a few miles southeast of Circleville, is home to rare plants and Native American burial mound that has never been excavated, part of tract of land settled in the 1830s. Appalachia Ohio Alliance (AOA) is working closely with the Ohio Department of Natural Resources to shield an area comprising a glacial depression and surrounding farmland, converting soybean fields to earlier flora. The goal is to eventually open the preserve to public use in 2015, with plans to create public access by adding interpretive signs and trails. 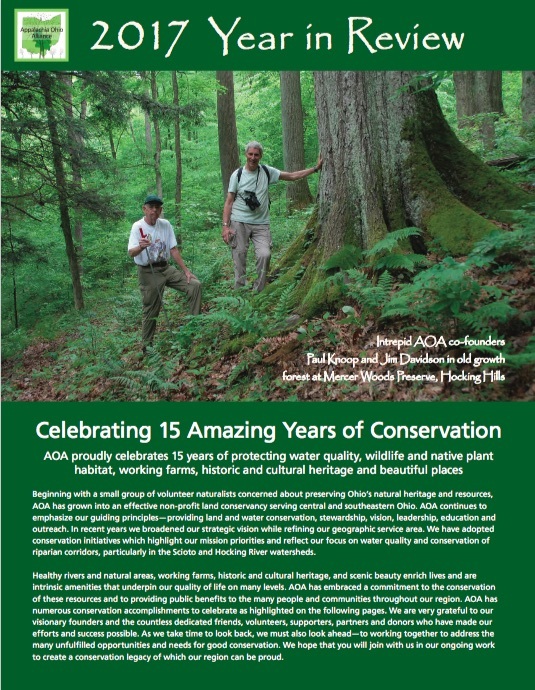 AOA works with conservation groups in 13 Ohio counties to raise funds to acquire similar properties and easements that hold unique geologic and historical significance. An archeologist will be called in during the fall of 2014 to search for artifacts in the land surrounding the mound that was built by Native Americans (Adena Culture) about 2,000 years ago.